That’s right. Integrity Data doesn’t just offer HooPayz as a valuable healthcare advocate for our clients, we use it too! And we were really excited to see how much time and money our own employees saved. Healthcare costs have skyrocketed and navigating the healthcare system has become increasingly complicated and time-consuming. Employees can spend hours on the phone looking for new doctors, inquiring about procedures and even more time arguing with billing departments over questionable costs. This leaves employees distracted and frustrated, and employers absorbing the cost of low productivity. Take this stress off your employees’ shoulders and not only will you improve productivity, your employees will save money. Here’s how we saved money with HooPayz and how you can too. Save money: HooPayz looks for fair-priced options for procedures, prescriptions and other healthcare services so employees can make smart financial decisions when pursuing health needs. Find a provider: HooPayz will look for in-network, board-certified healthcare professionals that are taking new patients so employees won’t lose time on this task during the work day. Review bills: Medical billing is often confusing and it’s difficult to spot errors. HooPayz will review the bills, look for errors and call the provider to correct errors on behalf of your employee. Debt support: Healthcare costs can create difficulties for employees. HooPayz personal advisors will establish payment plans on behalf of employees to avoid the collection process. 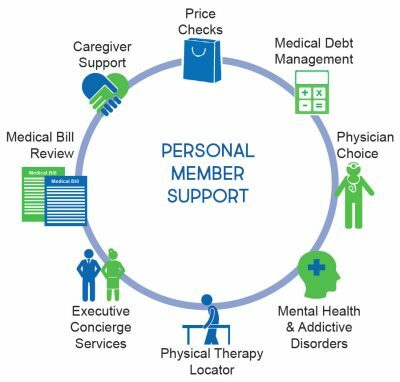 Extra support: HooPayz will also find caregiver support or other programs for more sensitive care situations, such as mental health or additive disorder treatments. A 276% employee engagement rate! This reflects how many different instances our employees have utilized HooPayz for their services. An ROI of 5,191%! This figure represents how much was saved as compared to what we have been invoiced by HooPayz. Employees saved $27,775! This is the amount of money that our employees may have overpaid for services without checking on pricing options or paying erroneous medical bills. Here’s the real news. These figures are only FIVE MONTHS with HooPayz. You can do the math to see how impressive these numbers would look over a full year. We share our personal experience with HooPayz so you can see a real-world example of results you might expect for your own employees and business. It’s been a remarkable solution for us over the last five months and we are confident we made the right decision. Navigating the complicated healthcare system isn’t going to get any easier anytime soon. Contact Integrity Data for more information about our personal experience using HooPayz and to learn how you can take advantage of this and other powerful financial wellness tools.